During an exclusive interview with Reality TV World on Monday, Cole talked about his Survivor experience. Below is the second half of what he had to say. Reality TV World: Do you think Ben's decision to take you out instead of Joe Mena was a personal or strategic choice? Cole Medders: I think it was a bit of both. He definitely had a personal problem with me. As he said before, he sees me as selfish and immature, at least at that point on the show. But he also said too that he saw me as a huge physical threat and they were lucky that I lost that day and they may not get that chance again. So, a bit of both. Reality TV World: Putting yourself in the majority alliance's shoes, do you think they made the right choice in going after you instead of Joe? And do you think the possibility of Joe having an idol was the only reason why they put votes on Mike instead of picking Joe as the alternate target? Cole Medders: Well, I think they weren't worried about Joe. I think Ben suspected that Mike had it because Mike was the only other person at the Yawa beach, but I think they were okay with keeping Joe around because they could get rid of him whenever. But if I was in their shoes, I would probably have voted off Joe, not just because I want to stay in the game but because physical threats -- you can't win every challenge, but strategic threats can be a lot more dangerous. Reality TV World: How would you describe your physical capability during your last days on Survivor? Do you think your body would have started to break down had you made it any further, which would have impacted your ability to dominate in challenges? Cole Medders: At the merge, I had new life at that point. And then the next Reward I got was sandwich reward and then spaghetti reward. I enjoyed a portion of at least every Reward on this season until I got voted out, so I was no longer struggling like I was at the halfway point or when I was on the Yawa tribe. At the merge, I felt pretty good after that, and I think I would've kept winning Rewards too, so I would've been okay. Reality TV World: Ryan Ulrich admitted when he cast his vote that he was surprised by the plan being executed, and he apologized to his "buddy." Were you really close to him? Because fans didn't see you develop much of a friendship with Ryan on the show. Cole Medders: Yeah, I feel like it didn't show my relationships with a lot of people. They kind of painted me out to be a pariah in a way, like Joe, but that wasn't the case. I think it was just Ben that had a problem with me, because a lot of people came up to me and told me before the vote, "Hey, whatever goes down tonight, I just want to let you know that I like you and I enjoyed having you around camp," which kind of told me that I was going home, too. But yeah, me and Ryan were talking all the time about sports and video games and music and a lot of mutual interests, and we made plans to go hang out after the show. I had that kind of relationship with [JP Hilsabeck] too. I got to talk to [Ashley Nolan] a little bit, and [Devon Pinto] too about surfing and rock climbing. Reality TV World: One person we saw you having a relationship with was Jessica Johnston obviously. Could you talk a little bit about that? How would you describe your relationship out there and what's the state of your relationship with her now, outside of the game? Cole Medders: Yeah, in the game, it was probably one of the cheesiest things watching it back that I've ever seen. I am not a smooth person and I am not witty when it comes to (laughs) talking to an attractive girl like herself. I'm just not. It's never been my strong suit. But it was kind of adorable watching it all over again. But yeah, we really hit it off out there. I, myself, separated our relationship from the game, which was probably a problem. The game was always going on no matter what, and I failed to do that. I would turn the game on and off. But outside the game, we've had a chance to hang out a few times, and we have some future plans to hang out with each other. Right now, we're just really good friends and it's been nice to learn more about each other in that context. Reality TV World: Do you think you could become more than just good friends, that your relationship could become a romantic one? Cole Medders: I mean, clearly that attraction is still there. There's a reason why it was there in the first place. We're just in very different places in our lives right now. She's very career-focused and I do a lot of traveling. I'm off the grid for my work, but I think there's always room for something. I mean, the best relationships are built from friendships, I think. Reality TV World: There was a big shift in power after the merge when Lauren Rimmer and Ben decided to join the Heroes and Hustlers. How much of a surprise and disappointment was that to you? Did you see that coming at all at the time? Cole Medders: In the moment, I knew -- I didn't think things were going to go our way, but I did not see Jessica going home. I did not see that at all. That caught me completely off-guard. I thought there was a chance that at least Lauren or Devon or Ryan would vote with us. I knew there was no chance Ben was going to vote with us because of the way he felt about me, but I just didn't anticipate how close Ryan, Devon and [Chrissy Hofbeck] were. I didn't know that relationship existed. Reality TV World: After the merge, what knowledge did you have of Mike's position in the game? Because he was ultimately playing both sides. Cole Medders: I was with him when we flipped. That was a decision we had kind of made together, or talked about to some degree at least. From the beginning of the game, me and Mike had made a Final 2 pact with each other. We called ourselves "Jaime and Tyrion" from Game of Thrones. (Laughs) Me, being the tall and handsome knight, (laughs) and him calling himself the short dwarf. But we thought we were with each other and that's why he came and talked to me that night about voting for me, and I told him to go for it, because he felt bad about it. But yeah, me and Mike were on the same page almost the entire way. Reality TV World: So what's your perspective of Mike's game in general? Are you impressed by it or bothered by it considering he turned on the Healers but was preaching about people having poor "moral character" at Tribal Council? Cole Medders: I think he's had a really strong game. I'm a little confused about what his intentions really were at Tribal Council, because he was a little contradictory. Cole Medders: His movement was made thinking that I did have an idol, because I never told him 100 percent if I did or did not. So he thought I had an idol. He wanted to draw heat towards himself, but then I think halfway, he changed his mind and thought since I did have an idol, if he put heat back on me, I would basically decide who went home. But that was not the case at all. It's all a little confusing. I can't really say what was going through his mind in the moment. It will be a question for Mike if you ever get the chance. Reality TV World: At the time you left the game, whom did you think was playing the best game? And besides Mike, which other castaway did you envision being in your ideal Final 3? Cole Medders: My ideal Final 3 would've been me, Mike and JP probably. And I thought Ben -- Ben seemed to be [the best player]. Even though he was still seen as a threat, he seemed to have a pretty firm grip on what was going on. Reality TV World: How were you cast on this season of Survivor? How did you end up on the show? Cole Medders: I'm pretty sure I'm allowed to talk about this. I don't think it's an issue, but I was recruited for the show. I was in a Chipotle and I've got the casting director or producer there. She came up to me and asked me what I do for a living, and I told her. And she was like, "Great, do you want to be on the show?" So then I submitted my video application and, yup, the rest is history. Reality TV World: Maybe we'll see you back on the show again some time in the future? Cole Medders: I hope so. That would be great. 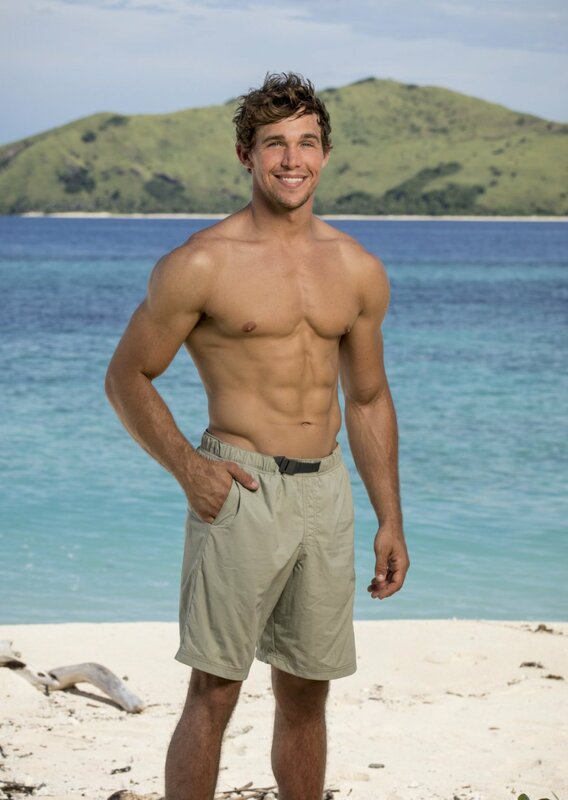 To read the first half of Reality TV World's exclusive Survivor interview with Cole Medders, click here.